From small decorative trussing for display and exhibition stands to medium and larger trussing components for extensive hanging and ground supported systems we have a product to suit your event. We also stock a range of stands and ground support systems for smaller situations or where hanging rigging is not appropriate. We have various sizes of straight aluminium trussing in a range of lengths. Our 2.2m, 3m, 4m, 6mand 8m diameter curved trussing provides creative options and various sized circles and curves. Using our rigging components we can construct outdoor roofs and speaker tower systems, screen supports, event entranceways and much more. 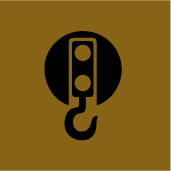 Safety is of the upmost importance when rigging which is why we only stock and use quality international brands that have calculated and tested ratings. All our rigging equipment is regularly checked and maintained. All of our riggers have years of experience coupled with training to work at height, height rescue and the operation of various items of access equipment. We have our own harnesses, rescue equipment and rescue plans when working with rigging and access equipment.